Hire charge per day for the above package is 50.? this is based on self install. This will include a free to view card, with this package. 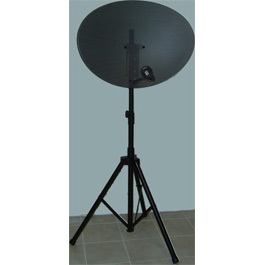 or we can arrange the installation of the satellite equipment, the satellite dish will be setup up on a tripod, and the receiver equipment placed in a dry location within 25mtrs of the dish. A LCD Television can also be hired for an additional fee - if required.